Paul used to have a small peanut butter cup addiction. After going to classes and coming to terms with his issues, he hardly touches them anymore! Every now and again I feel like I should make some from scratch so he doesn't fall off the wagon and start cleaning out vending machine again! Okay Paul, so this is slightly over exaggerating, but as you know, that's just what I do. Part of the reason Paul has stayed away from store bought peanut butter cups is because the chocolate industry is actually quite scary. Most of the world's chocolate is intertwined with young children as well as adults working in extremely hazardous conditions. When buying chocolate, please think about it and try to buy fair trade chocolate. Read, 'The Chocolate Industry Exposed: Child Labor, Trafficking and Fair Trade Mislabeling', a great article for more information. As you know, I always try to make a healthy alternative to the normal sweet treats but this is where my 'practical' part of PractiGanic comes in ... sometimes you just need the real thing. 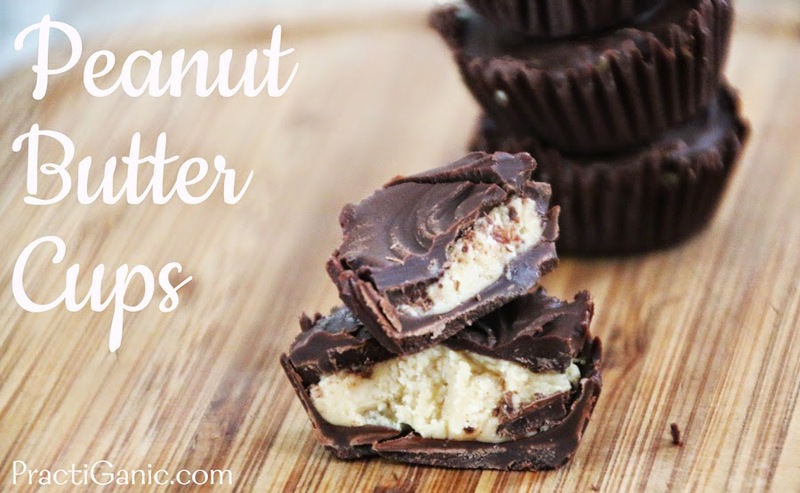 Peanut butter cups are one of those recipes that sometimes I don't want to make the healthy version, but of course, making them homemade is always better and healthier than store bought so I have that going for me! Also, to try to be a bit healthier, I like to use dark chocolate instead of milk chocolate. 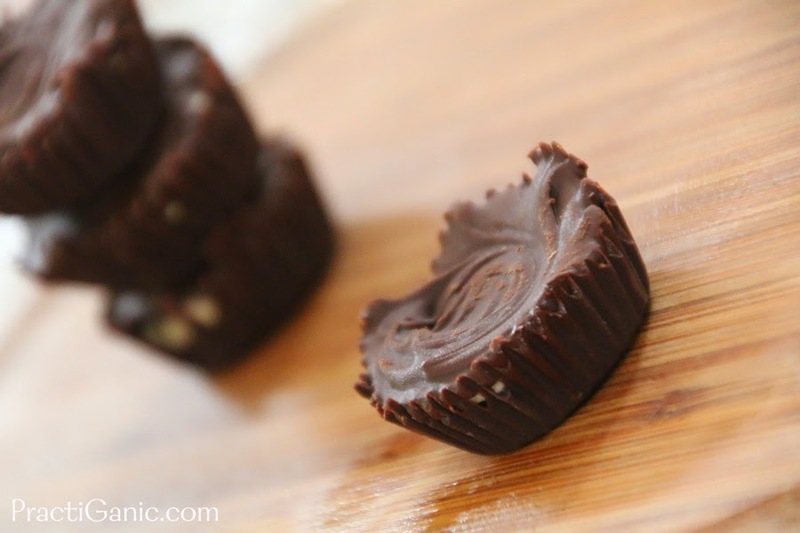 However, if you are looking for a healthier snack, try my Raw Almond Joys for now but stay tuned, I think I'm going to be making a raw peanut butter cup in the near future! 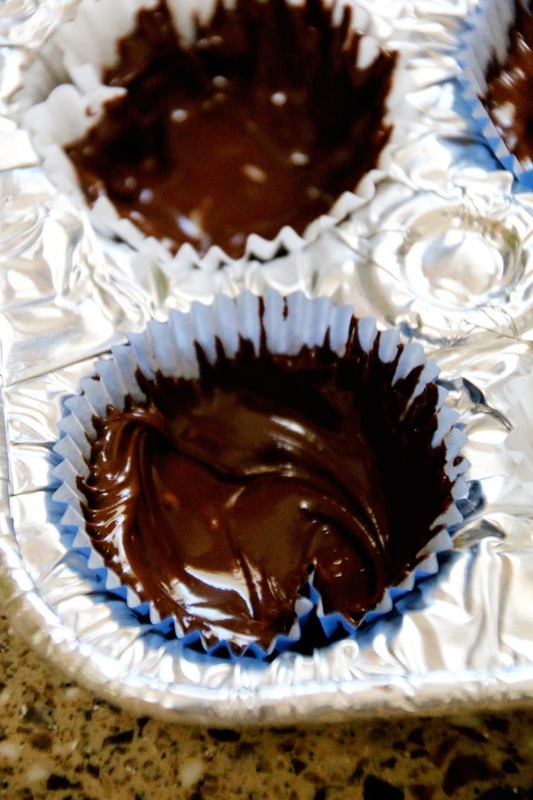 Forget the double boiler and melt your chocolate in a crock pot. It can sit in there for a while on low and never burn! Genius!! As you are waiting for the chocolate to melt, mix together the peanut butter, powdered sugar and rice crispies. Next, line a muffin tin with paper liners. Pour a little chocolate in each one. 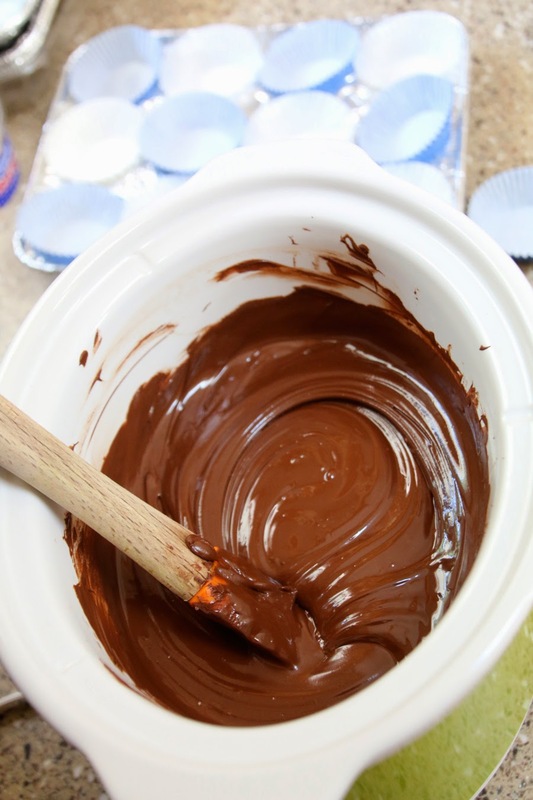 Taking a toothpick or a paintbrush, spread the chocolate all around the liner. 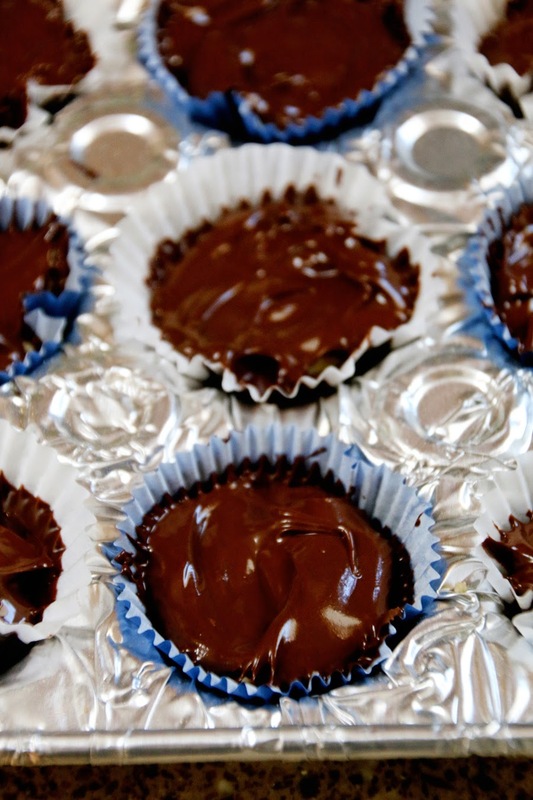 Put the chocolate in the freezer for 2 minutes so it quickly hardens. 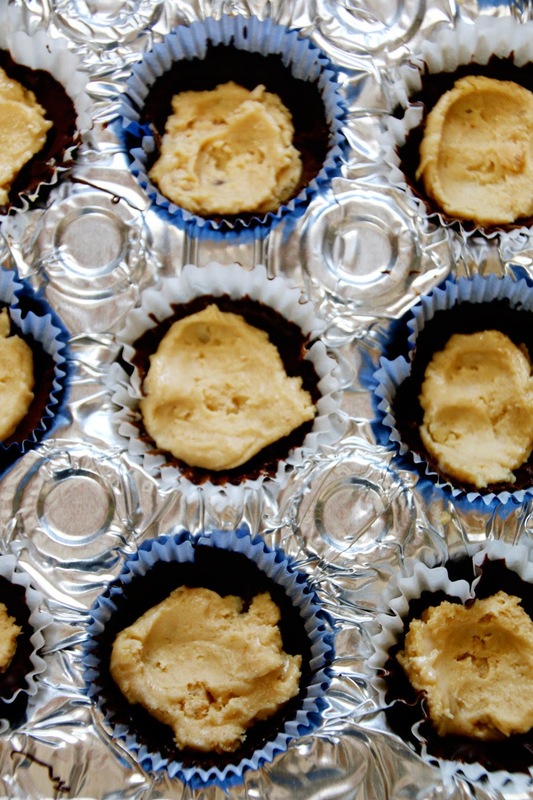 Take the cups out of the freezer and divide your peanut butter mixture in the cups. and flatten it with your finger or spoon but make sure that it doesn't spread all the wait to the liner. You want chocolate to be able to go all around the peanut butter filling. Next, pour chocolate over the peanut butter so that it completely covers the peanut butter filling. Put in the refrigerator so they set. I always keep mine stored in the fridge too so they don't melt.